Little Learners is a satisfactory center if you are searching for just childcare. It is located in a nice area of Wellington. However if you are in need for an educational Preschool with a formatted state approved curriculum, you must continue your search. This center is good for the effort of baby sitting in a large group setting. At the most. The name of this preschool is very deceiving. Palm Beach? The owners have a few schools. If you do not have your child enrolled in the Military Trail School, your child will not receive the same care, concern or naturing. Your staff may also be non-degreed personal. It seems this schools owners philosophies are that the amount of money you can afford to spend for care and education equates the level of care and knowledge your child will receive. Note, their other schools run under different names. Parents, BEWARE! When we first moved to Southern Florida, we had our children's cats in tow. Due to no animals allowed in College dorms. We had not found a Vet yet. Our daughters childhood cat became very ill due to a thyroid tumor of which we were unaware. This Animal Hospital was so kind and helpful. We did have to make the unthinkable decision to put our daughter's cat to sleep. The hospital was so supportive. As we were leaving, they presented us with a yellow rose and a poem of love in which we were able to pass on to our daughter. I will hold these veterinary professionals in my heart forever. Thank you, Royal Palm Animal Hospital! This adoption league is wonderful. If you are unfamiliar with the bread of Greyhound, you are in for a big surprise. Our dear friends adopted their third son for the league. He was a race dog at the West Palm Beach track that became to old to run. At the ripe old age of 3. Well, when our friends decided to get a dog for their 2 sons, they choose to help the league and foster. Charley stole their hearts. He had a forever home instantly. 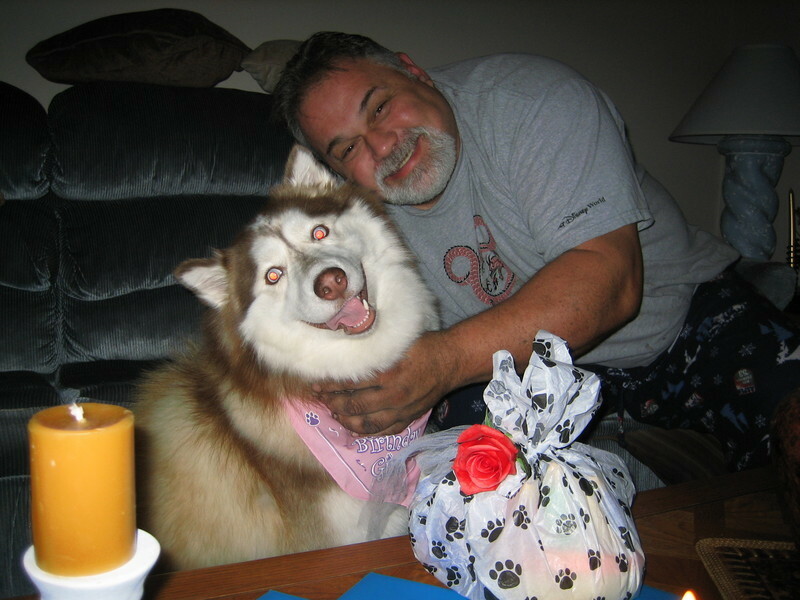 On a vacation they took, I was so glad to be able to care for Charley in my home with my at the time 14 year old Husky. They had the time of their lives. He is an amazing dog. I have also fallen in love with the breed. But, my heart belongs to Huskies. Maybe someday when I live in a home that can endure 2 large loves! Marc McCarthy is an amazing naturalist! I am honored to write a review for him and his Sanctuary. Just one visit from Mr. McCarthy to your school or event or if you choose his personal tour to his Sanctuary and you will not only fall in love with his animals, but he too. We have had Marc give animal shows at our Preschool for over 8 years. He is so adorable with our children. They learn a great deal in an amazing hands on approach. His sense of humor shows a great insight into his personality toward people, but just as importantly or even more, the worlds animals.Thank you Marc McCarthy. You have truly made your mark in the world! This is a wonderful store. Our son whom was a student in Philadelphia took me on my first shopping trip to Thai Hong's. If you want Asian fare, this is the store for you. I walk around forever just looking at everything and oh, the aroma! Since we moved to Southern Fl. it is very evident how much we miss shopping at Costas Food Market. This small family owned store is the old time neighborhoood market. They would even deliver you order. The butcher was of old world. You asked you received. Nothing is prepackaged! If you are searching for any outdoor gear of any type, you must stop by Rickys. They offer great merchandise for great prices. It's just fun to walk around and eye candy shop. Very nice and helpful staff! Kuddos! If you enjoy Soft Serve Ice Cream this is the place for you. Yum! My favorite is still the childhood treat. Chocolate/Vanilla swirl with Chocolate dip and Jimmys! You must take home a few cartwheels too. Brings back memories. The only thing missing is a truck playing that famous sound!